Almost all loudspeakers are omni-directional at low frequencies, they radiate as much bass from the rear as they do from the front. These low frequencies reflect from the walls and cause muddying of the bass-end as they add and subtract from the same frequencies coming from the front. ME-Geithain’s “Cardioid” design (K-series monitors) cancels out the bass from the rear, so it only comes from the front. This minimises reflections and results in a clear un-muddied bass-end. The graph below shows the bass radiation pattern of the RL 901K monitor. 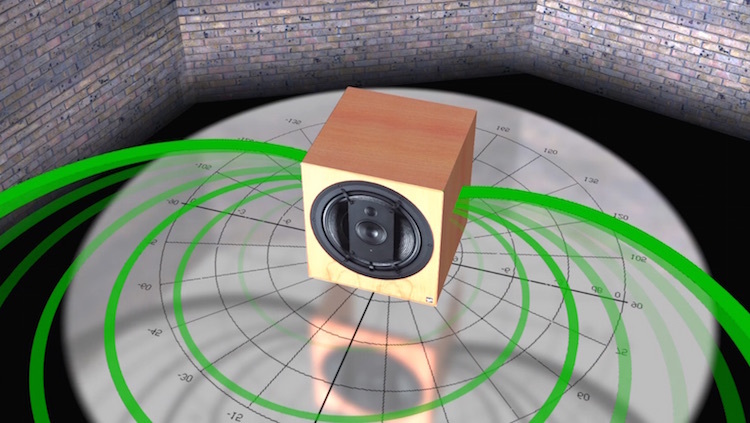 The “Bass Cardioid” technology was developed by Joachim Kiesler of ME-Geithain. 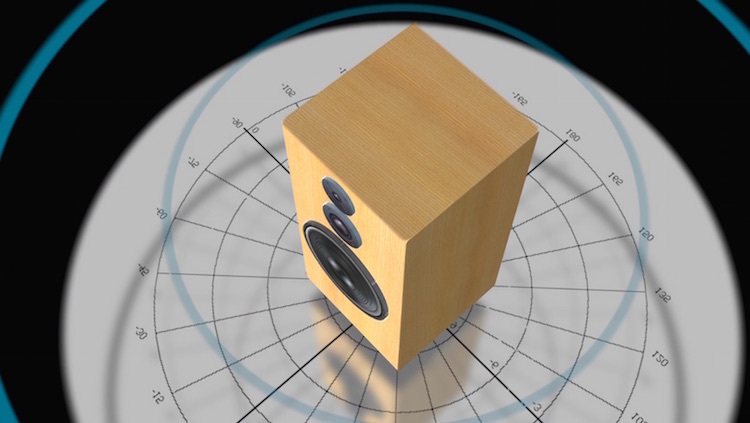 This is a mechanical solution which provides a loudspeaker with a directivity that even works at very low frequencies (where all other loudspeakers are omni-directional). In principle it is an acoustic, or flow, resistor that results in permanent calcellation of low frequencies by phase interference that results in a non-symmetrical directivity with high rearward attenuation. 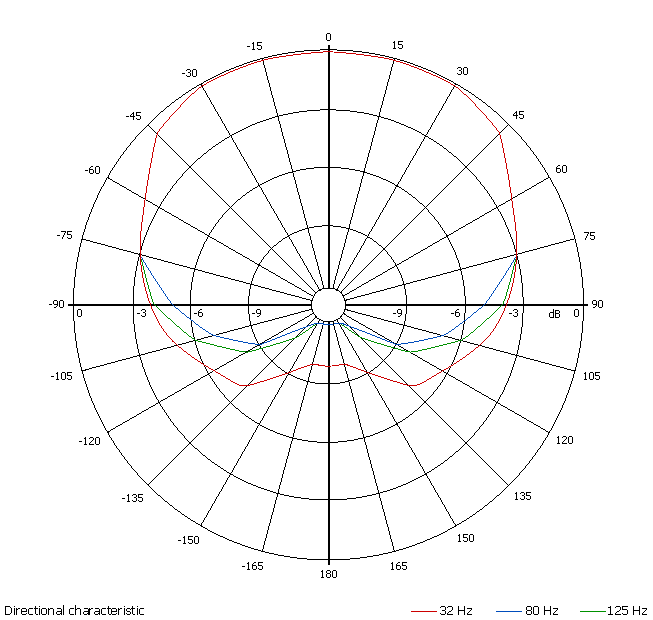 S0 the directivity at low frequencies is no longer spherical but is, instead, cardioid (like a cardioid microphone in reverse). The advantage is that room reflections, which come from the rear of the loudspeaker and result in cancellation at the listening position, no longer occur. 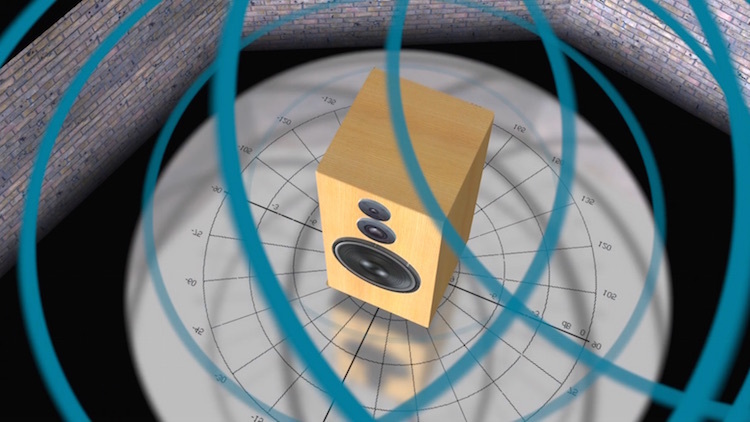 The Bass Cardioid is an ideal tool that considerably facilitates loudspeaker positioning – it permits significantly smaller wall distances, which is especially helpful in small / multi-channel rooms that do not allow for loudspeaker to wall distances of over a metre.